Can you believe January is already in the rearview mirror? 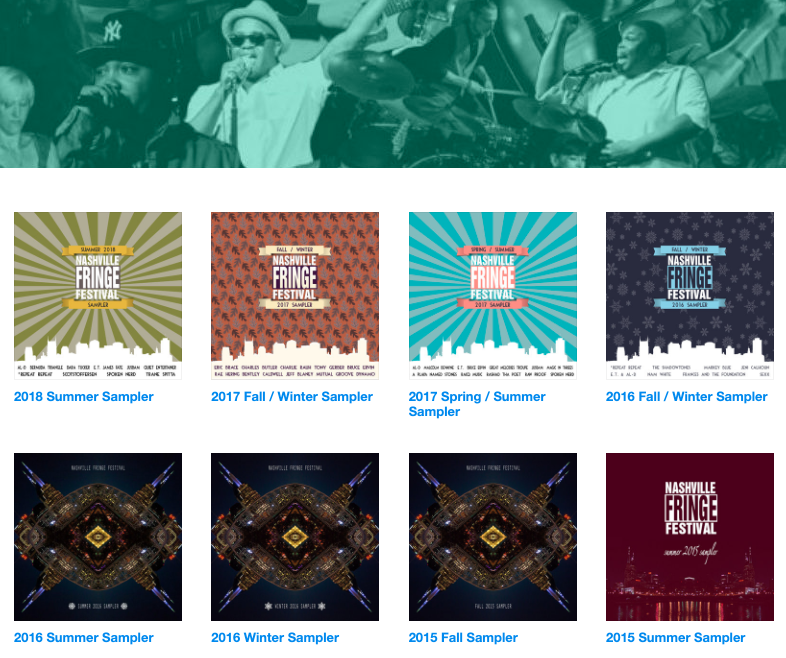 Welcome to February, where the Nashville Fringe Festival invites you to join us at the following events, featuring a fantastic range of Nashville's musical talent! TONIGHT!!! Tuesday, February 5: Concurrence at Rudy’s Jazz Room / 9:00pm, $10 cover. Wednesday, February 6: What the Blues Has Done For You with Bayou & the Degradables at Harpeth Valley Elementary / 1:20pm. 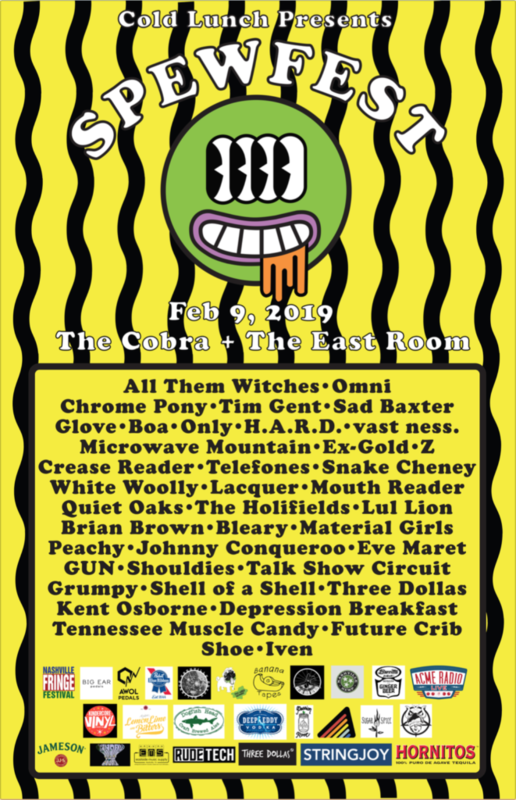 Saturday, February 9: Cold Lunch Records presents SPEWFEST IV, featuring 30+ bands* at The Cobra and The East Room. The event kicks off at 3pm, but please click through here to the event page for more details and ticket information. Tuesday, February 12: What the Blues Has Done For You with Bayou & the Degradables at Gra-Mar Middle School / 9:00am. Wednesday, February 13: What the Blues Has Done For You with Bayou & the Degradables at Two Rivers Middle School / 2:10pm. 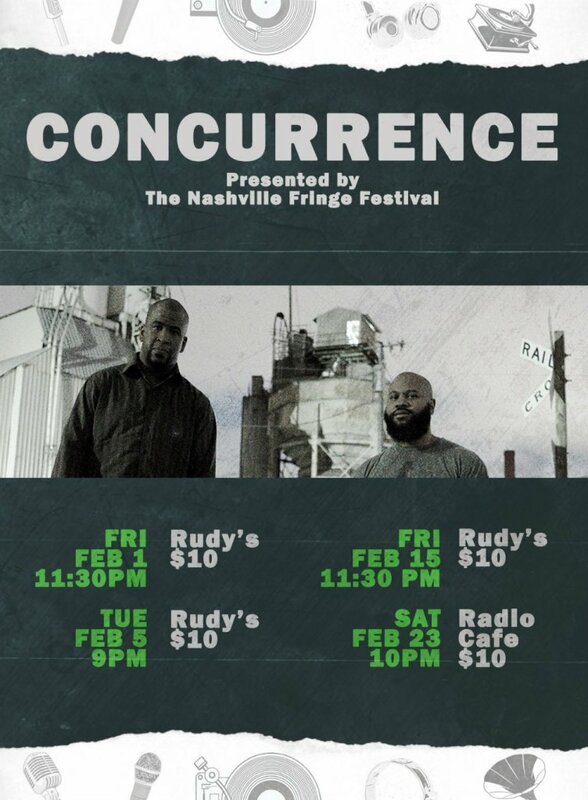 Friday, February 15: Concurrence at Rudy’s Jazz Room / 11:30pm, $10 cover. Wednesday, February 20: What the Blues Has Done For You with Bayou & the Degradables at Dupont Hadley / 1:00pm. Saturday, February 23: Concurrence at Radio Cafe / 10:00pm, $10 cover. Tuesday, February 26: What the Blues Has Done For You with Bayou & the Degradables at McMurray Middle School / 10:00am. Wednesday, February 27: What the Blues Has Done For You with Bayou & the Degradables at McMurray Middle School / 2:30pm. Thursday, February 28: What the Blues Has Done For You with Bayou & the Degradables at Hickman Elementary School / 1:00pm.